Gas prices are down. Drivers are celebrating. But does that mean we can slacken the conservation reins? Not as far as I'm concerned. For me, prices have no effect on my quest to burn less fuel. The cost of consumption is almost immeasurable when you factor in the associated environmental damage, corporate gluttony, health impacts, and spiritual conflict. I conserve because it's the right thing to do. Which I why I jumped on my friend's suggestion when she said, "Your readers should know what I learned about buying a hybrid car. It's more affordable than you think." Question: Why did you want to buy a hybrid? Answer: For better fuel economy and to help encourage industry to find better ways to be more environmentally friendly. Q: Describe yourself as a shopper. Impulsive? Thoughtful? Unimpeded? Budgeted? A: All of these. I know I can be impulsive, so I stop myself in process and start analyzing. I have a budget; it's small. Q: Why did you initially think a hybrid wasn't an option for you? A: I assumed it was way out of my price range before I ever even looked into it. A: While shopping for a new car, the sales people explained to me that there are many incentives from our federal government to buy or lease a hybrid, so that it was not only affordable, but more affordable than a regular non-hybrid car. Q: What kind did you buy? Q: How do you like your new car? Q: What is it like to maintain compared to a traditional car? More expensive? Less expensive? Bothersome? A: Easy, no different than any other new car. Q: Do you have any hybrid-car-buying online resources you'd like to share? Q: Is there anything else you'd like to say about the experience? A: Don't rule out hybrids if you're thinking of buying or leasing a new car. Explore all options. A: I am retired from two careers, military and civilian, living on a strict budget, and totally enjoying life. I garden, do a lot of volunteer work with veterans and animals, and I support environmentally friendly businesses, especially small businesses. There you have it; hybrids are worth a look. When doing your research for tax incentives, add the syntax "site:.gov" to your search to obtain links to government websites. Earth-caring people get a lot flack about burning fossil fuels whenever they speak out against the companies that produce it. "Hypocrites," the antagonists yell. But Americans have been victims of a manipulated market, one that has blocked meaningful, affordable gas and oil alternatives from getting beyond the prototype stage. That's changing. We've passed the point of such alternatives being "right" and reached the point where they are "critical." Today's options may not be perfect, but if you dig a little you will find more are becoming available, ones easier to acquire than in the past. Thanks, Judy, for reminding us of that. "This is the most revolutionary..."
"How did you ever do without...."
It's gotten worse. Advertising voices are everywhere. They break in at a frequency and volume that has become unbearable. Why? Is it because there are more of us on the planet, so more of us have to shout to survive? Is it because so many of us already have what we need that sellers have to work harder to convince us to buy what we don't? Is it because our economic engine is straining from the weight of the billionaires, the new millionaires? The Christmas holiday takes a lot of heat for its role in turning up the volume. I too must wonder if Santa isn't some ploy in a commercial conspiracy, planting a message in kids minds at an early age, "Life is about getting stuff." To me, the morning was about getting up before dawn (mom's groaning), sitting around a pretty tree and an old train set in our cozy PJs and smiling in the company of family. My brother wasn't mean to me. My dad wasn't yelling. My mom laughed easily. Christmas morning was daily strife interrupted by happiness. Sure, the presents rocked, but the anticipation was bigger than the receipt. I tried to open slowly, to savor the moment. And it never failed, Christmas night sucked. What did I have to look forward to then? Whether it's Christmas, a birthday, some Hallmark holiday, or just your daily routine, I'd like to suggest ways you can help tone down the selling chatter? I'm not talking about grinding our economic engine to a halt. I'm simply talking about changing the channel. • Stop buying junk -- particularly gadgetry junk. Challenge: this Christmas do not buy a single electronic gift. Why? It's too easy and, next to car sales, electronics represent the noisiest babble of all. • Use your purchases as a vote. Send a message that you will only buy inventions that solve real problems. The inability to lock your car door while flying over San Francisco is not a real problem. That you still need to fuel your drive through town with fossils is. • Shift anticipation away from materials toward experiences. Extend the happy family time by doing something inexpensively fun. • Buy from local small manufacturers whose budgets for product development exceed that of product peddling. • Be creative and give of yourself. Make your gifts. Share your possessions. Offer your time. • Consider all that you have when analyzing what you need. • Stop counting billionaires. Who cares anyway? • Sacrifice low, low prices for high, high quality. And finally, when they start talking at you, put in some earplugs and say, "I can't hear you." Tell me, how do you deal with the noise? Have you ever cursed the open overhead cabinet door for coming in contact with your head? It's funny how angry we can get at an inanimate object. Spilled milk. A locked door. The leaking roof. We ignore the fact that the object in question is really innocent. It is we who spill, lock, and fail to maintain. This "not my fault" subconscious reaction helps us deal with the frustrations of daily life. Seemingly beneficial and inconsequential, this response can also skew our better judgment. Oil, coal, methane, carbon dioxide, and mercury are not to blame for pollution and sickness. It is we who mine, burn, and dump. 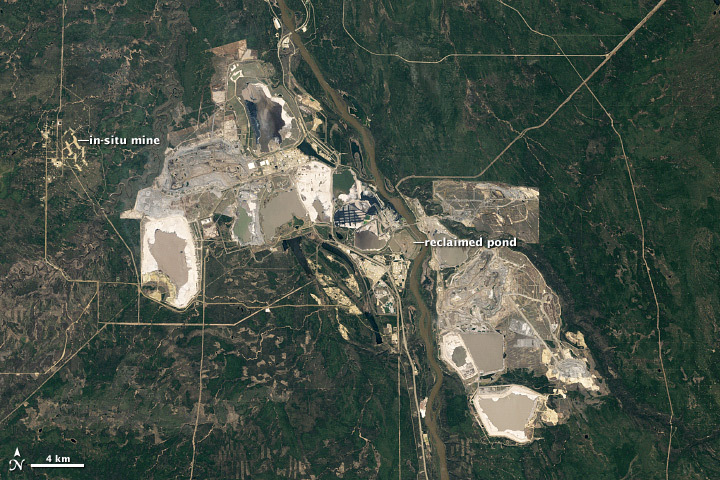 The fossilized remains of ancient life hidden in the sand under a forest in Canada are not what make the Athabasca Oil Sands an environmental disaster. Should the Keystone XL Pipeline Project move forward, should we actually go ahead and increase the extraction and production of bitumen crude and send it 1,179 miles to the south through a 36-inch pipe, humanity -- not the oil -- will be the defendant on trial for all that goes wrong in court of ecological health. We must control our actions. We must accept responsibility for our part in closing the cabinet door, moving the glass of milk out of the way, and repairing the old roof. And we must stop exploiting Earth's elements. Period. Who is responsible for climate change? I really don't care. It doesn't matter to me. I reject that question entirely, because this decade's old call for awareness has turned into THE scapegoat for consequences that ARE entirely our fault. Instead of using every scientific mind to find alternatives to the exploitation, we waste time looking for proof that we've done something wrong. Pollution. Surface destruction. Tainted water. Wasted water. Sick children. Dead birds. I can laugh at myself for yelling at the cabinet door, but beyond that it gets just plain embarrassing. Seven months ago I sat in on a conference presentation that had to do with flood risk. The presenter brilliantly began by showing a series of five photos. As each one was projected onto the front wall she asked, "Is this a flood plain?" The audience was made up of the kind of people who would squeeze themselves into school desks and devote a beautiful Saturday to learning about environmental issues. We fumbled for the answer. "Come on folks," she encouraged. I shyly spoke up, "Yes." She shook her head in agreement and continued. "Is this a flood plain?" she asked again. The scenes grew dryer and dryer until the last one depicted Arizona's Grand Canyon. By then we were on to her, and the entire class confidently said, "Yes." Her point was that, like the Colorado River carving the wondrous canyon, water leaves its channel eternally. It's up to us to determine the risk associated with that fact. 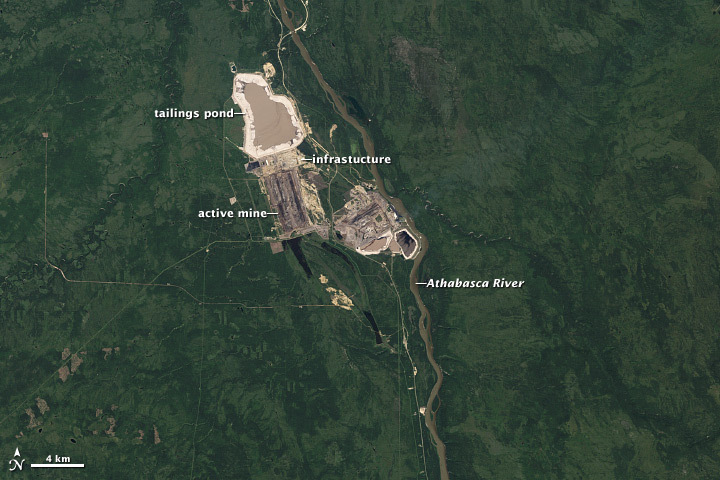 We build and live alongside waterways based on the likelihood and frequency of the aquatic escape. We talked about the Federal Emergency Management Association's (FEMA) flood insurance and flood maps as well as flood catastrophes, flood preparation, and flood mitigation. Wendy Lathrop amazed me by the depth of her knowledge and the patience in her explanations. Amidst all the data and technicalities and rules and guidelines, one point stood out: We need to rethink our beliefs about floodplains. "This is not wasteland," Wendy stated passionately. A floodplain is a floodplain whether it has water in it or not. Frequent visits to the stream that flows behind my house have shown me just how drastically different the same waterway can look from one day to the next. On Tuesday, I walked down a 300-foot stretch of Swamp Creek. Not on its banks, but right down its middle. It was a river of rocks. Every so often I'd pass a small boulder that was one to two feet tall. Almost square, they looked like gray, damaged boxes fallen from a plane. On Thursday after a day of heavy rain, I visited again. There would be no walking down the center. A strong current about 40 feet wide had overtaken the channel and, except for a few tops, the boxes were gone from sight. Come spring, when the snow melts, the edge I stood on Thursday will be creek bottom. Come thunderstorms, the footprints that I made in the silt on the pathway to get to the creek will be washed from the surface so far back from Thursday's waterline it is simply inconceivable. It's marvelous to stand in a scene where nature is untouched. Your wildest imagination cannot picture the same place filled with snow, covered in ice, or flooded with rain. What barely trickled between a channel of rocks will raise up to the cliff banks before my next birthday. Water will work its way into the natural ravines and eddies for a rest, always on the level, unable to contract, seemingly able to expand. On the days between floods, the wildflowers will dare to survive. The sun will warm the silt, the seed with germinate, the plant will grow, the bee will visit, and more seeds will fall, all with a slight sense of urgency, for there is no certainty as to when the next rise will occur. "Is this a floodplain?" you ask. In some cases the answer is obvious. The landscape is easy to identify. Flood debris and flattened trees liter the wide area of low ground on either side of the stream. In others, where the flood levels could reach the window tops, we look to FEMA and topography maps to answer. Which scenario is wasteland? That may depend on what happened last night or what is forecast to happen tomorrow. If you want to learn more about the FEMA process, particularly FEMA buyouts, you can watch a similar presentation of Wendy's, given at the 2013 Watershed Congress Along the Schuylkill. To do so, click here.